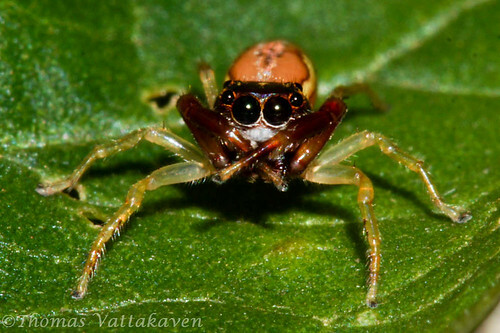 Another jumping spider (Salticidae), taken using the Minolta 100mm F2.8 lens with significant cropping. 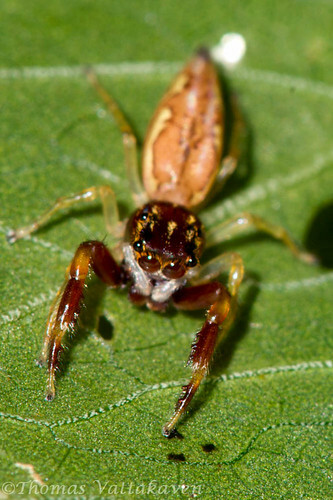 If anyone can help with IDs, that would be great, if you know someone who is into spider IDying, please pass this on. 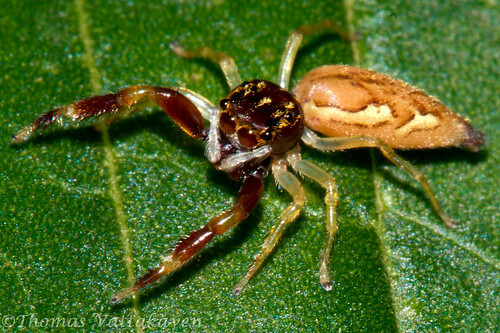 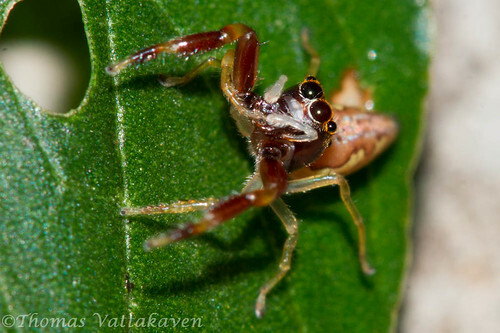 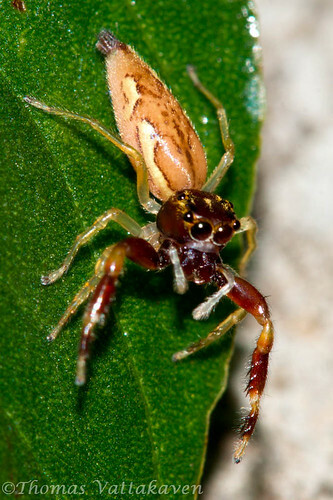 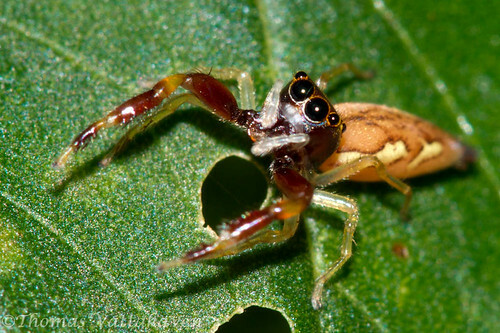 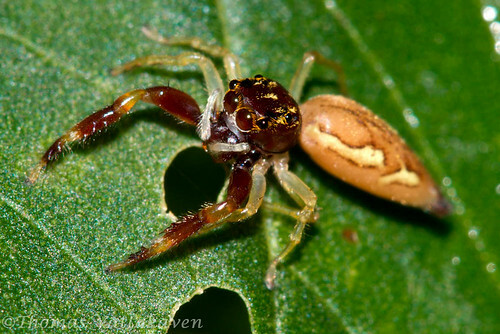 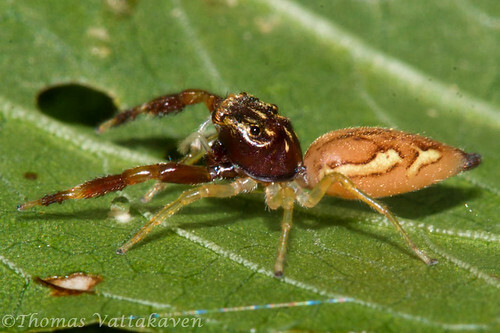 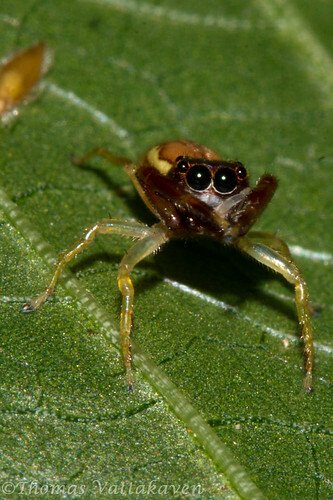 I`d say this one looks very similar to the Scorpion-like jumping spider featured earlier.